After two years of white, blue and silver, the change to a darker colour palette makes the Polo R WRC look even more aggressive than it already was. The Red Bull sponsorship is also a lot more obvious than before, and there’s no mistaking what Volkswagen model it is with the huge ‘Polo’ emblem in the front air intake! It’s also noticeable that Volkswagen Motorsport has dropped the prominent ‘R’ branding from the car. Perhaps they’ve become sick of people, like ESM, asking why there’s no true AWD Polo R street version being made! 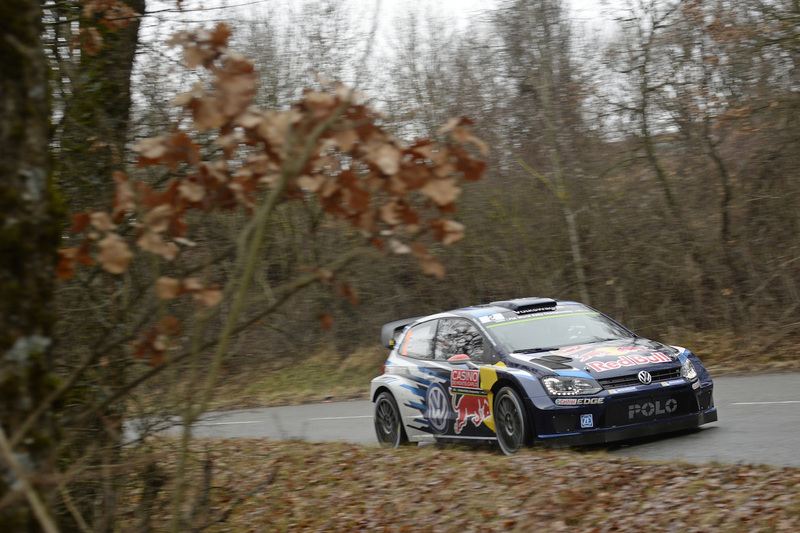 Andreas Mikkelsen really making use of those ditches! Ogier giving passenger rides through Monaco’s tunnel. Either way, it’s still a very good-looking WRC car. Can Volkswagen make it three successful years in a row? We’ll just have to see! Previous Post What did we learn from the 2015 Detroit Auto Show?